A surge protective device (SPD) is a protective device for limiting transient voltages by diverting or limiting surge current and is capable of repeating these functions as specified. SPDs were previously known as Transient Voltage Surge Suppressors (TVSS) or secondary surge arrestors (SSA). Secondary surge arrestor is a legacy term (often used by utilities) and is used most commonly for a device that has not been certified to ANSI/UL 1449. In 2009, after the adoption of ANSI/UL 1449 (3rd Edition), the term Transient Voltage Surge Suppressor was replaced by Surge Protective Device. Type 1: Permanently connected, intended for installation between the secondary of the service transformer and the line side of the service disconnect overcurrent device (service equipment). 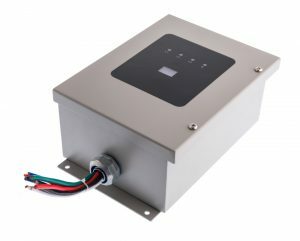 Their main purpose is to protect insulation levels of the electrical system against external surges caused by lightning or utility capacitor bank switching. A Type 2: Permanently connected, intended for installation on the load side of the service disconnect overcurrent device (service equipment), including brand panel locations. Their main purpose is to protect the sensitive electronics and microprocessor based loads against residual lightning energy, motor generated surges and other internally generated surge events. For additional information regarding SPD Types (including Type 4, Type 5 and component assemblies), see the paper titled “SPD Type Application Considerations” on the Reference Materials page.